Is it a friend or a foe? Digital Disruption shakes the world of sales and marketing. 1. What does digital disruption mean? 2. How does digital disruption affect companies? 3. How can you handle digital disruption? What does digital disruption mean? Digital disruption is the phenomenon where changes that are enabled by digital technologies occur at a pace and magnitude that disrupts established ways of value creation, social interactions, doing business and more generally our thinking. Due to this modern age, disruptors are able to improve a product and provide it to customers easier, and at a cheaper rate. It is booming because it is extremely customer focused. How does digital disruption affect companies? Airbnb is a peer-to-peer exchange service in which hosts rent out their private property to short-term subletters. Due to the digital age, Airbnb can find it easy to market their product at almost no costs, due to people writing reviews on their experiences and having their websites getting noticed more. Their cost of capital is significantly small and they are also safe from many taxes that the government takes from hotel companies. Due to their small costs, they are able to rent out rooms at very small prices compared to those of hotels and hence they end up disrupting the hotel business. Uber is a company that started up taking advantage of the digital age and in the process, disrupted the taxi industry. They made a design extremely convenient to customers. The customer can simply book a taxi online, and is able to track it on the map. Once the service is completed, the service compensates the driver from the customer’s pre-loaded credit card, hence no awkward tipping is required. Due to the convenience, the customers are more inclined to use Uber, rather than searching around on the streets for taxis. These were examples of companies who became disruptors, by embracing the digital age, and ended up disrupting the previously running and well-set industries. How can you handle digital disruption? Now that you understand that digital disruption is a current phenomenon, let us learn what we can do to handle it, and use it to our advantage. The main idea is to embrace technology instead of fighting it. Digital marketing has allowed companies to market and advertise their product to a much larger audience in a fraction of the cost compared to regular marketing. It has allowed small businesses to prosper because, for a small cost, these companies are able to have their products seen by a larger customer-audience and hence increasing its sales and giving the company the boost it needs to prosper. We believe that digital disruption is most definitely a friend for those companies who are willing to embrace change as the current models of marketing and selling are evolving as we speak. 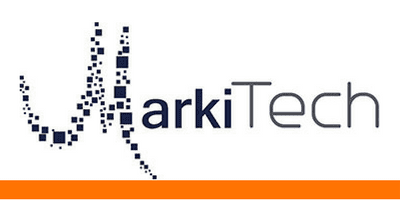 We, at MarkiTech, know the key success factors of product success better that anyone with focus on marketing. You cannot afford not to spend money on marketing.